Recently I have read many articles and opinions about teaching mathematics to girls. All of them have been concerned about the amount of girls interested in mathematics and have suggested that the subject has to be changed to be more tempting and more related to the world of women. I think changing the content does not make any difference if the attitudes remain the same. I have probably told this before but when I was a teenager, no one ever told me that mathematics was not supposed to be the career for a woman. I heard that opinion much later when I did not believe in it anymore because I had seen it myself: Girls can be as successful in mathematics as boys unless they have been discouraged from the beginning. When I started solving Japanese puzzles the Sudoku boom had not started yet. 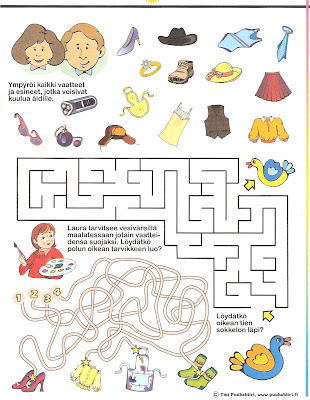 Two different picture logic magazines were published in Finland: Japanilaiset Ristikot by SanomaMagazines Finland containing Conceptis puzzles and Siluettiristikot by Kolmiokirja Oy. At the time it was totally impossible to find any books about logic puzzles in the book stores. 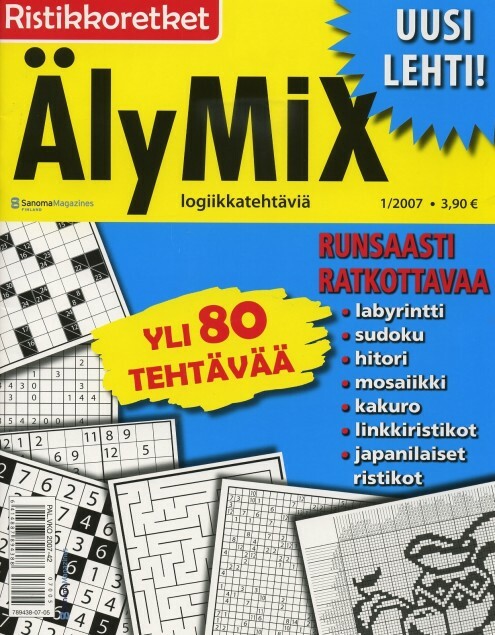 It contains Pic-a-Pix, Link-a-Pix, Fill-a-Pix, Maze-a-Pix, Sudoku, Kakuro and Hitori or Hashi puzzles. I was very satisfied when they started publishing that. At one point several Sudoku magazines were published here and they were also imported from Britain. Other picture logic puzzles than PAPs were hard to find in any country. 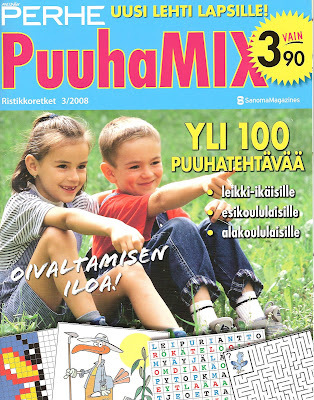 Suddenly Finland is in the front row in the accessibility of picture puzzles! The text on the first puzzle says: “Circle all the clothes and items which could belong to mother”! There is no one object I could not use… GRRRR! How is the equality going to come true if children are supposed to do generalizations like that? Hey! Thanks for stopping by my blog and commenting! It is so intresting to hear you say that that is true :) Its pretty funny too because I moved to Norway, and since I have I have always thought that the Norwegians are totally unfriendly (at least compared to what Im used to).